Cop these no-fail street style looks inspired by It supermodels like Kendall and Gigi. Nothing stirs the heart of a travel-thirsty fashion girl more than tickets booked, itinerary ironed out, and luggage impeccably stocked—the latter being our greatest obsession, as we all accept as a truth generally acknowledged that no trip is ever worth taking without the presence of good photos and the photogenic #OOTDs we wear in them. For really—and call it an obsessive tendency to perfect every travel moment—isn’t it better to soak up the view and immerse oneself in the experience of travel when you know you’re impeccably dressed for the part? Chic activewear to climb mountains in New Zealand? Got it. Slinky heels for a night of shuffling in and out of London bars? Packed. A wide-brimmed straw hat with an offensively exaggerated diameter, for sunset sessions in El Nido? Locked and loaded. Really, it’s not about being fussy—it’s about maximizing the travel experience by making sure you look as good as the places you’re visiting. That’s why we fashion girls go through the painful (yet surprisingly addictive) task of manually Polyvore-ing our chosen clothes in the effort to lock down our travel outfits based on weather, location, and activity. It helps that today's hottest It supermodels like Kendall and Gigi are giving all sorts of sartorial inspo, what with all the time they're spending jetting off to international fashion weeks, sailing aboard luxury yachts across the Mediterranean Sea, and strutting the streets of major cities like New York and Los Angeles. 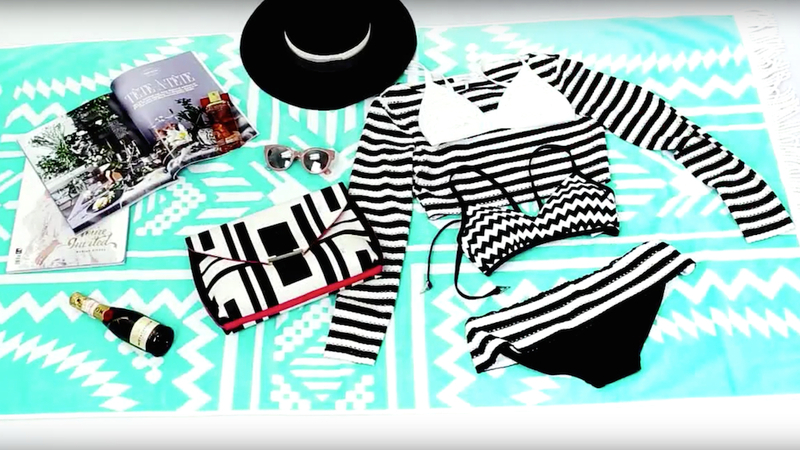 If summer trips are on your agenda, this video might just inspire you to complete your travel outfit checklist. And with pieces that range from airport sleek to glamping-ready, you might as well take that last-minute, pre-trip shopping spree. Stop over at Rustan’s for the chicest finds this summer.